Joining the league’of flagships for this year is the new Xiaomi Mi 8 which is the successor to last year’s Xiaomi Mi 6. Skipping 7 in the series, is Xiaomi way of commemorating their 8th year in the technology world. Also, the smartphone ships with the latest hardware as well as the now common notched display. 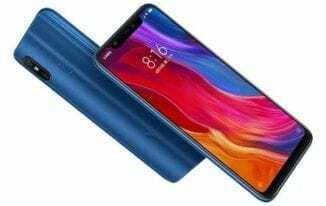 Other versions of the smartphone include the Xiaomi Mi 8 SE and Xiaomi Mi 8 Explorer Edition with the SE mimicking iPhone SE option. There’s no denying the exquisite craftsmanship in the Xiaomi’ Mi 8 build, although; there is no originality in the design considering it reminds you of the iPhone X. From the notch at the front to the camera module at the back, the smartphone takes after the Apple flagship. Also, it has a glass build like a number of other high-end flagship this year with nice ergonomics delivering that premium feel to the holder. One of the commendable measures taken by Xiaomi is the choice to go for an AMOLED screen coupled with the Full HD+ resolution in play. The display goes edge to edge with impressive contrast as well as the large size protected by Corning Gorilla Glass .With a 2248 x 1080 pixels resolution and a sizeable 6.21-inch length, the edge to edge notched display should be nothing short of appealing. 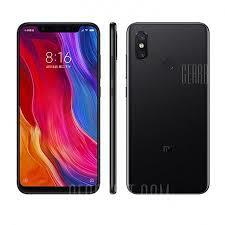 It is imperative that a flagship like this one has a substantial battery capacity which is guaranteed by the 3, 400mAh battery inside the Xiaomi Mi 8. As expected, it has fast charge technology but does not have wireless charging capability despite the glass build. If you love taking pictures, the Xiaomi Mi 8 is quite a decent flagship to go on a photography spree with. It comes with AI capability and slo-mo 4k video recording at 60fps alongside portrait mode. Featuring a double 12MP camera and a 20MP front camera with infra-red scanning for face unlock. You also get Xiaomi’s version of animoji which works very fine to an extent. 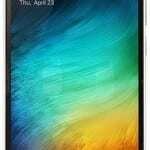 More details, includes 6GB RAM and different storage space options which are 64GB, 128GB and 256GB respectively. There’s no support for expansion with a memory card. Besides that, the smartphone runs Android 8.0 Oreo with MIUI 10 skin on top and has Xiao AI also available. Pricing for the smartphone is not clear yet but is set to cost about 152, 000 Naira as a start.